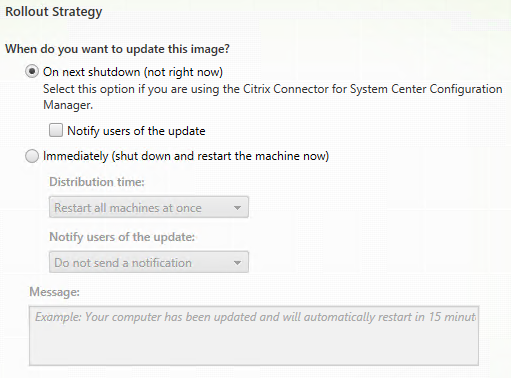 Shutting down from the Start Menu should also automatically start the update inventory process, but it is safest to explicitly do it. 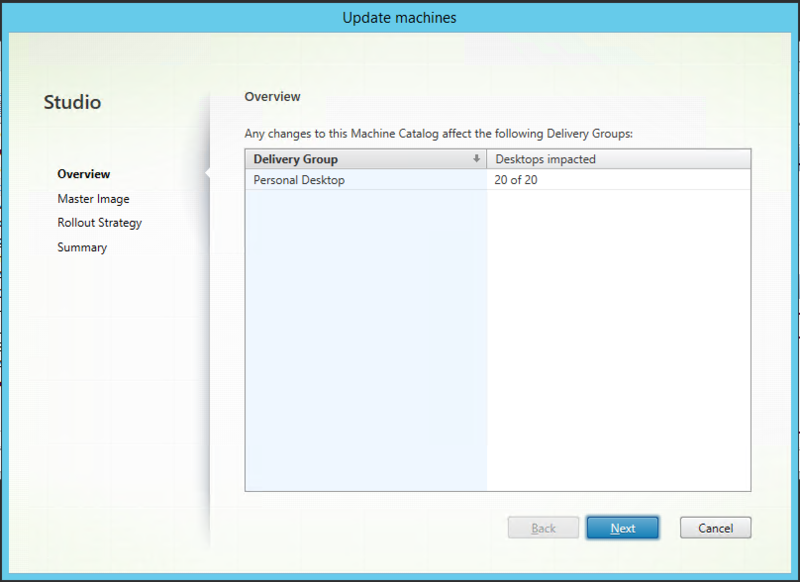 To enable you to safely restart VMs, you can put them in maintenance mode to stop users logging on. 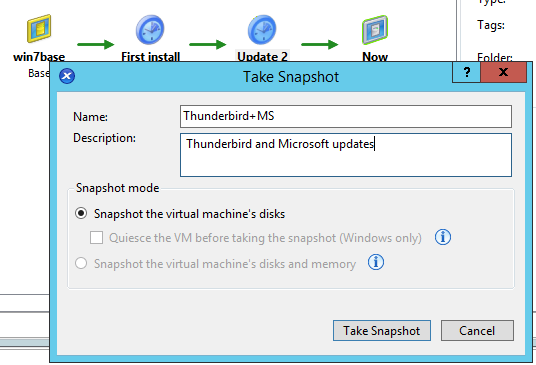 This is particular useful in the case of application servers (Shared Server OS). Enabling maintenance mode will not affect users already logged on, but will stop new connections being made. Therefore you can enable maintenance mode, wait for users to log off, restart (from within Studio, remember) and disable maintenance mode.